Last weekend, in the United States, we witnessed the senseless shootings in Arizona that left 6 dead and over a dozen wounded, including a US Congresswoman. Among the dead was a beautiful little 9 year old girl. 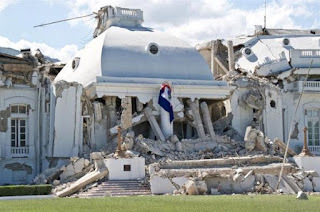 Also, this week marks the 1st anniversary of the massive earthquake in Haiti. 35 seconds is all it took to shake that struggling nation to its core as the earthquake took over 200,000 lives. 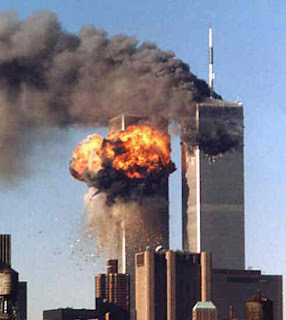 And of course we remember the tragedies such as Hurricane Katrina and September 11. We witness all these things and it’s hard to make sense of it all. Some tragedies result from natural disasters while others result from decisions that people make to intentionally ruin the lives of others. People just live and go about their everyday lives and seemingly out of nowhere, tragedy strikes and they have to deal with the reality of it. Have you ever asked, “Why do bad things happen to good people?” I know I wonder that when I see the innocent involved in a tragic situation. 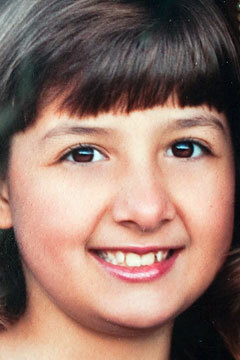 That little 9 year old girl in Arizona is such an example – innocent victim of a terrible situation. As adults, it’s hard for us to understand why these things happen. But how do we explain these occurrences to our kids? What about when they ask, “Why do bad things happen to good people?” How do you really go about explaining these things? There’s no magic answer to these questions but through this post I’ll try to give us some tips. Our daughter is 12 years old now so she has a greater understanding of the world and how it functions. I can have more intelligent, intellectual discussions with her now. When the earthquake struck Haiti last year, like so many others, she cried. I comforted her and just tried to share with her the fact that natural disasters are as old as the earth itself. Some we can anticipate and prepare for, as best as we can. We live in the Miami area and when hurricanes are coming, we know it and make preparations. But disasters such as earthquakes you can’t really anticipate other than knowing that at any moment, one may strike. Man made tragedies like the senseless killings in Arizona are a bit harder to understand and explain. As our daughter learned of that situation, like so many, she was heartbroken. Why would someone just desire to inflict such harm on others? I explained to her that in some cases people are mentally ill and in that state, they often do the most irrational things one might imagine. And in other cases, people are filled with anger and rage and want to take out their issues on the world. Since she’s almost a teenager now, I can have normal rational discussions with her, much like I would with another adult. But I recall that when the September 11 tragedy occurred in 2001, that was just before her 3rd birthday. That entire experience shook us to the core as a nation. I did my best to shield her from the news coverage. I didn’t want her exposed that situation. A child is so innocent and couldn’t fathom why people would commit such evil acts. So I didn’t want her to witness the drama unfold. An interesting side note is that 11 days after that tragedy, her mom and I separated. And that sent us to a new phase of our lives. I believe that in our unpredictable world, we can’t anticipate every bad thing that may happen. When they do occur, I believe that we should use good judgment about how to speak to our kids about them. If they’re very young, we may not want to give them all the graphic details, particularly when the tragedy is as a result of murder. Sensitivity is the key in all of this. As they get older, we can’t really shield them from these matters. Besides, it’s good for us to have intelligent discussions about them. Our kids are growing people who become adults before we know it. We need to help them understand why the world is the way that it is. It’s also important, I believe, to help them recognize that though most people are good natured, there are some people who get joy out of seeing others harmed. That’s why we tell them not to talk to strangers and to always be in contact with us. I believe that there is more good in the world than bad. I also believe that even when tragedy strikes – whether natural or man made – as parents we can use those opportunities to help our kids to learn and grow in wisdom. That should be our duty as parents.